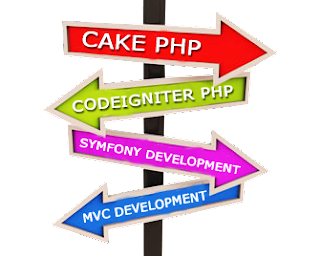 PHP frameworks aid developers in writing codes with a systematic approach. It is often witnessed when the computational abilities of a computer merge with the creativity of the developer. This can result in a much polished and refined version of the manifestation of coding in applications. Another benefit of using a PHP framework is the rapid development of codes that can help businesses meet project deadlines. PHP frameworks provides a common structure to for creating more stable sites, assisting productivity, normalising web apps and reducing repetitive coding. It gives us a platform where developers’ codes are neatly arranged. With web frameworks it is possible to share common problems, documentation, tips and advice and solutions online in an open source fashion. Before introduction of the web frameworks, sites were seen written in a proprietary fashion. To arrange code and design architecture various coders used their own set of techniques and methodologies, which resulted in various issues like complex proprietary frameworks, lack of documentation, etc. PHP frameworks have come up as a solution for all such problems. PHP framework is a set of PHP classes and functions adhered to by the developers while developing a site. It was in 2004 that frameworks came into use and became a comprehensive solution for building robust websites. The design methodology on which most of the PHP frameworks are based is known as MVC or model-view-controller. Model which contains server business logic code, generally involves reading and writing to the database along with some pre- or post-processing. View is where to present the output to the user in a specific format, mostly HTML markup; it can also be the XML or JSON format. The controller which is essentially the manager intercepts the URL first, after that calls the right models and views before it is presented to the browser, an API caller or mobile device. What To Look For In A Framework? There are five main factors to look for in a framework that suit businesses, We shall look into each of these prerequisites for a beneficial framework in the subsequent paragraphs. This is very essential in a PHP framework as dedicated developers can carry their work anywhere with them irrespective of the location which they are headed to, be it within the confines of four walls or out in the open. They can concentrate on their work even while traveling and stay connected to the developments in the project and always be at the beck and call of clients. Maintaining the website or debugging can be done on the go with very little fuss over non-availability in these critical conditions. Other activities that require only their presence can be rendered productive because of work portability. This is also very important as developers should not lose track of the events that unfold after taking up certain decisions. This documentation is very crucial for coming up with a beautifully written code for websites. It may be difficult to find people with experience of a particular framework. I will not recommend to use a framework that seems really cool however not many people are using it. This would mean you will not have any kind of help available when you are stuck with something. Even if the framework is well documented you may be stuck with a small bug that can affect your users. Having a good community support really makes developers life easy and sustains it for long term. I prefer to use thin frameworks with plugin or enhancement features that can be attached or detached from your application as and when required. This makes the footprint of our application small at the same time we have a lot of flexibility. Every application/project is unique in its own way, choosing always one PHP framwork for your project may not be the best thing to do. You should evaluate the needs to your application against the framework features and decide on best fit. This is the main reason why we have stayed away from comparing any of the leading frameworks in this article. There are dozens of PHP frameworks, I have found that http://phpframeworks.com/ is a really useful resource in evaluating the right framework for your needs. However keep in mind that this exercise of comparing the frameworks need to be done in the context of your project needs. This is probably one of the most common mistake most developers make. Once you start using a framework you get so used to it that you tend to keep using it for all your projects. Remember that all projects are not same and choosing the right framework at the beginning of the project is very important otherwise you may end up spending a lot of time and end result will not be good. This is a very rampant problem as inexperienced individuals are elusive when it comes to offering support and guidance regarding these frameworks. These businesses have to make sure that the framework provider is authentic and does not spell doom for their success. Always banking on the credibility of the framework provider’s side nullifies the risk of adopting inconclusive frameworks. Businesses should make sure they are familiar with the user guide for installation and that they have painstakingly gone through the details of the step-by-step procedural installation provided in the guide. Sticking to the rules would ensure that there is a good probability of a smooth experience in the developing of the code. Sometimes, businesses can choose to hire a dedicated PHP developer in order to reduce costs and errors. It might be a good idea to ensure that the developer knows what sort of framework errors one can encounter and what the end results are going to be. The previous paragraphs have dealt with the common glaring mistakes businesses commit with respect to a PHP framework. The first point of work portability mentioned is very crucial to the success of the framework and the business, especially when it comes to dedicated hiring. Ryan Moss is a dedicated PHP developer who has worked from an offshore location for years. He has often written about the errors that developers usually commit and how one can avoid them. He recommends to visit this page. I prefer to use open source which come from PHP. This is the easy way to edit and customize.